Thank you to Linda Rader, newsletter editor for LIS and author of this, for her comments and for her permission to share it on our website. you already receive Irises, the quarterly publication of AIS. But did you know that AIS has launched News & Notes, a monthly email newsletter to keep members up to date on the latest happenings in the iris world? 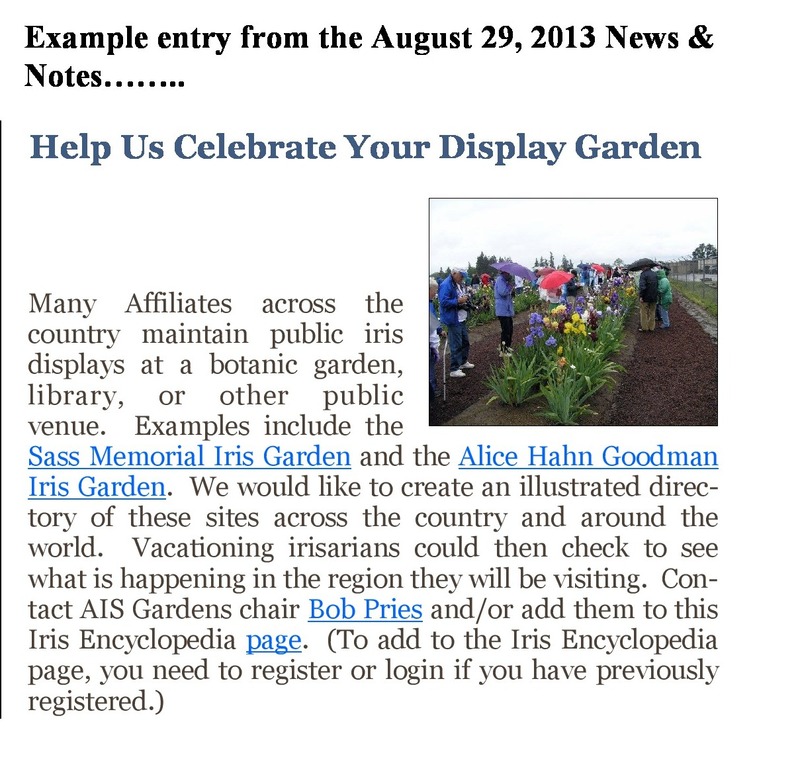 iris encyclopedia, as well as other sites of interest. A great reason to join AIS, don’t you think? This entry was posted in Uncategorized and tagged howto, News & Notes by wrmesser. Bookmark the permalink.